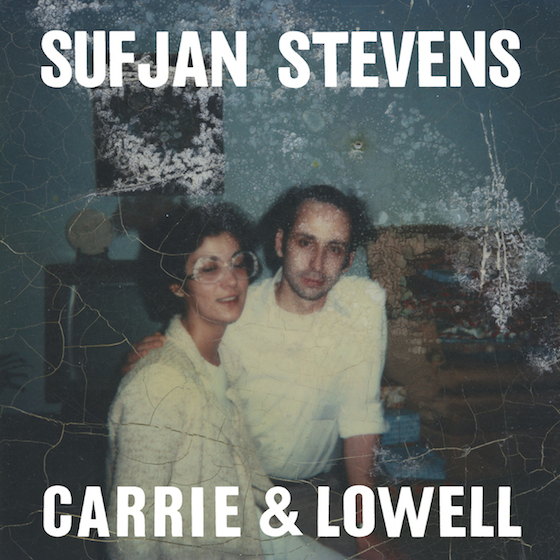 When Sufjan Stevens released Seven Swans in 2004, it was unfairly met with apathy by a Fifty States Project-starved listenership waiting for a follow-up to Michigan and somehow disappointed by the straightforwardly pretty album he offered up instead. But with the States Project now a distant memory and a five-year wait since his grandiose Age of Adz, perhaps people will listen to the subdued, melancholic beauty of Carrie & Lowell with different ears. / And I don't know where to begin," he sings, repeating the last line twice for emphasis. These songs of mourning — "Should Have Known Better," "Fourth of July" and first single "No Shade in the Shadow of the Cross" among the best of them — aren't all about his mother, necessarily; they're about Stevens' search for meaning in death, which he explores with a yearning, sparse guitar- and piano-centric sound that prioritizes contemplation over any formal narrative structure. As such, one would be hard pressed to find a traditional single or standout song here; instead, Stevens takes the listener along on his personal quest for meaning that, like depression, travels a long, flat road rather than the valleys and peaks that characterize more story-based works.